The International Space Station is an example of what Russia and the US can accomplish by working together, US astronaut Michael Hopkins told RT, adding that the cooling relations between Moscow and Washington over Ukraine isn’t felt in space at all. 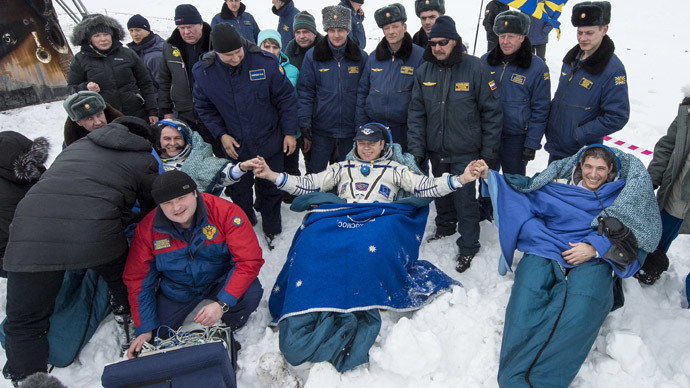 Sharing such an experience as a spaceflight – from launch to landing – is very unifying, Hopkins stressed as he arrived in Star City, near Moscow, for his crew’s official welcoming ceremony. According to the 45-year-old, the tensions between Russia and the US over the events in Ukraine “had no impact” on relations with his Russian crew members. “I think, actually, the International Space Station is still an example of what our nations can accomplish when they work together,” he said. 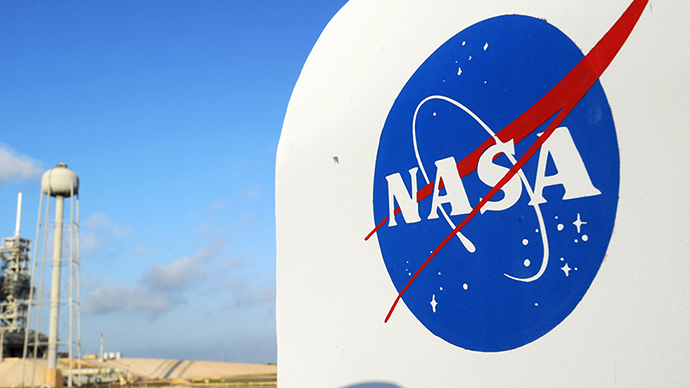 “We, on our part, are planning to go to Huston in June… because it’s very important for the propaganda of our joint scientific space program; in order to tell the people about the outstanding project, which is the International Space Station,” he said. According to Kotov, his colleagues and he have warm relations not only with Hopkins, but many NASA astronauts. “We exchange e-mails. 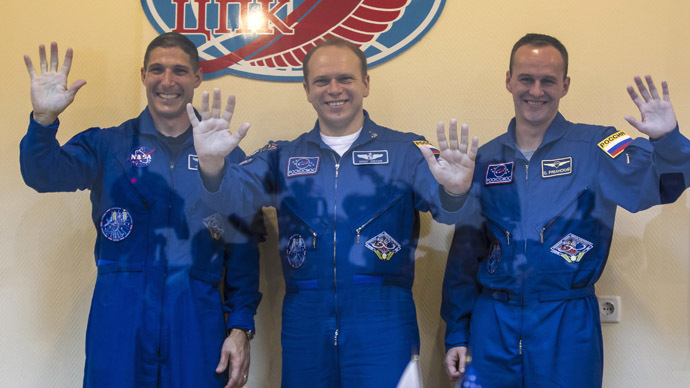 When they come to Russia or we come to Huston, we meet and spend time together,” the 48-year-old, who has made three trips to ISS, spending 526 days in space, said. 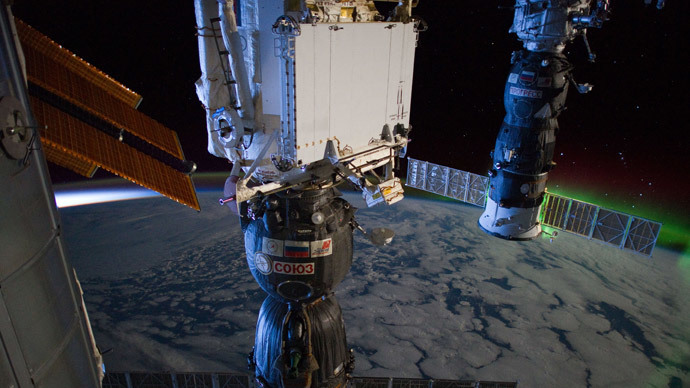 The Russian stressed that it’s “a great piece of luck” that NASA’s ban on communication with Russian counterpart, Roskosmos, over Ukraine, which was announced on April 1, doesn’t affect the ISS project. English language was used aboard as “Oleg and I are a lot better in English than he (Hopkins) is in Russian,” he said. However, the events in Ukraine and the push of the Republic of Crimea to rejoin Russia were among the topics discussed by the crew, he said. Hopkins “showed an interest in understanding the Russian stance – our position. Because we were defending our position; trying to explain some historical aspects. Why it happened so? Why there are complications? Why it’s hard to understand to the West? Really, it’s not always plainly explained to the American people,” Ryazansky explained. “We watched both the Russian and US news on the station. We had a chance to compare the different ways the information is presented,” he added. The cosmonaut also told RT about the ISS tradition to hold weekly dinners, at which the Russian-American crew could relax and share stories about their work and events in their families back on Earth. Besides those dinners “the whole crew celebrated all the birthdays aboard the station. We celebrated the New Year according to both Russian and American time. Actually, we spent a lot of time together,” he said. “Our wives became friends as well. They exchange letters and communicate. It’s very important that they supported each other during our flight. I hope that we’ll keep company and keep communicating. And maybe we’ll fly to space again someday,” he said. Hopkins, Kotov and Ryazansky have spent 166 days at the ISS, safely landing in Kazakhstan on March 11. 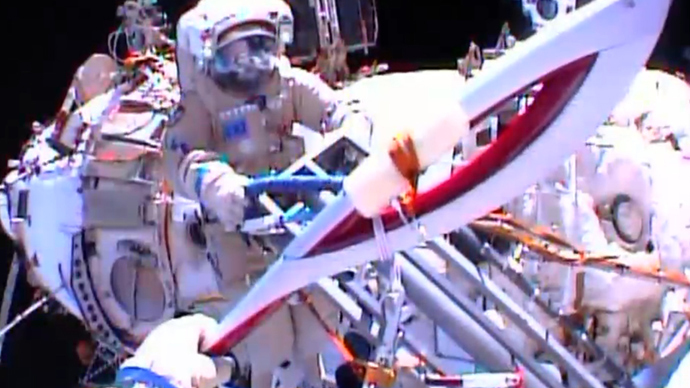 The Russians made history during the expedition after they took an Olympic torch for a spacewalk for the first time ever last November during the Sochi 2014 torch relay. The International Space Station was launched into the Earth’s orbit in 1998, with Russia and the US being the largest contributors to the project, with Japanese, EU and Canadian space agencies also participating. Since the termination of NASA’s Space Shuttle program, the crew of the ISS is delivered exclusively by Russian Soyuz rockets. Relations between Moscow and Washington are at their lowest in years following the accession of republic of Crime to Russia on March 21. The ultranationalist coup in Kiev prompted the Crimean peninsula – home to an ethnic Russian majority – to hold a referendum on its future within Ukraine. On March 16, over 96 percent of Crimean voters decided to cut ties with Kiev and rejoin Russia. The move wasn’t well accepted in Washington, which labeled the referendum illegal and imposed sanctions on Russia. The restrictive measures included travel bans and foreign asset freezes on Russian politicians and businessmen as well as the severing of cooperation with Moscow in many spheres – from trade talks to space exploration.